If you need more proof that America’s education system is chronically underfunded, look no further than Townsend Elementary in inner-city Philadelphia. Sadly, recent state-wide budget cuts have hit first-grade teacher Rebecca Carpenter’s classroom there in unthinkable ways: This year, she had to use her own money to ransom her students back from Somali pirates. This is simply infuriating. America should be a country that leaves no child behind in the clutches of their pirate captors. Yep. With the principal breathing down her neck and zero money coming from her school, Rebecca had no choice but to pay the $600,000 ransom out of pocket to free all 40 of her students from a rogue nautical brigade taking prisoners off the coast of East Africa. With absolutely zero monetary help from her employer, she had no choice but to take a chunk out of her $49,000 annual salary, start a GoFundMe campaign, and deliver three duffel bags filled with cash to a pirate skiff in the Gulf of Aden all by herself. Whoa, this is 100 percent not okay. What kind of country are we if we’re not even giving people like Rebecca the little blood money she needs to make sure our kids have the brightest futures possible? Plus, it’s not like our teachers are looting our schools for diamonds or gold. Rebecca worked overtime just to haggle pirate leaders down from their initial asking price of $2 million just to save the district money—and THIS is how we repay her? We as a nation have to do better, and give America’s public schools the funding they need to rescue their students from imprisonment in a coastal town on the Horn of Africa. 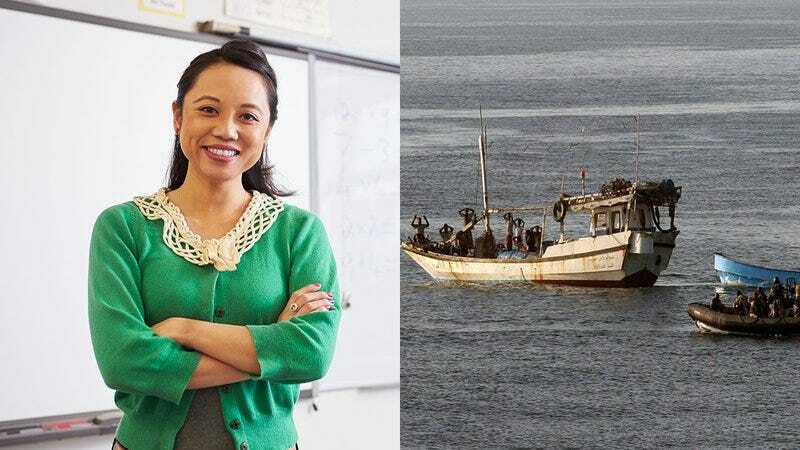 Teachers like Rebecca are doing more than their part, and it’s time the rest of us paid our fair share of the Somali pirate ransom.